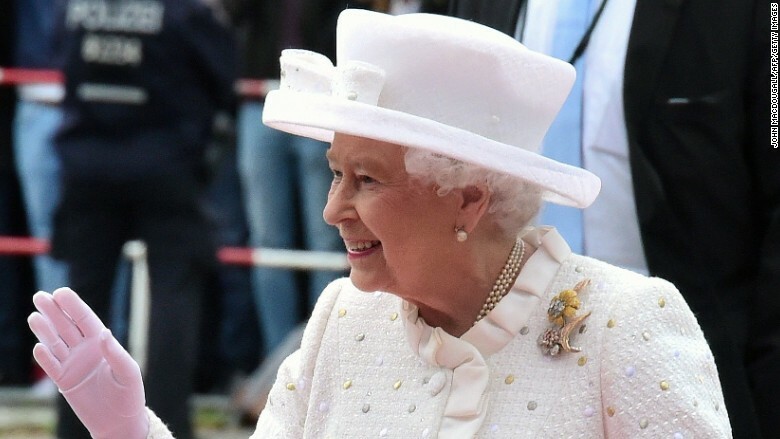 The British real estate boom is giving a nice boost to Queen Elizabeth's earnings. The Crown Estate, which manages a large portfolio of royal-related British property, reported record-setting profits Wednesday. The organization earned £285.1 million ($449 million) over the latest fiscal year, up nearly 7% from the prior period. This is the latest in a string of record annual profits. The overall value of the Crown Estate's businesses and assets also hit a historic high of £11.5 billion ($18.1 billion), up about 16% from last year. The vast majority of money was earned from urban properties. The Crown Estate rents out roughly 8 million square feet in central London to businesses and retailers. Well-known brands such as Michael Kors (KORS) and Hunter count themselves as tenants. But all that profit won't go directly to the Queen and her family. The Crown Estate profits get funneled directly to the government, and then roughly 15% of this money eventually filters back to the royal family. That means the royals can expect a £43 million ($68 million) check to finance official engagements, public work and the upkeep of official residences. Those funds should be enough to keep the family going. The royal household spent £35.7 million ($56.2 million) in the latest fiscal year, which is on par with the previous year, according to a royal press release. However, the 89-year-old Queen will soon have to renovate her official Buckingham Palace residence to the tune of £150 million ($236 million), which could seriously stretch the budget. Officials say the palace is in desperate need of rewiring, new plumbing and asbestos removal work. The U.K. property market has been booming over the past few years, fueled in part by foreign investors. Overall housing prices have been rising since 2012 and London's residential property market is now worth as much as Brazil's entire economy. The Crown Estate has been reinvesting heavily in its London properties and plans to open another 400,000 square feet in central London within the next year. 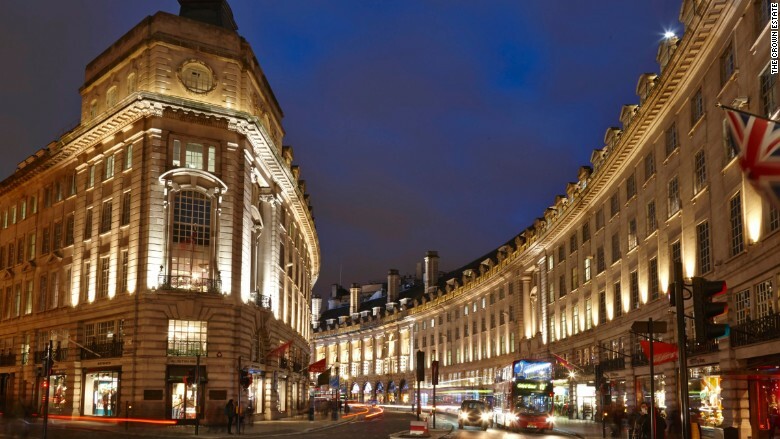 The Crown Estate rents out its properties on Regent Street, which is a key shopping area in London. --CNN's Max Foster contributed to this report.